We have focusd on brand "baccow" building for 5 years, specialized in 100% hand-painted oil paintings on canvas, 3d palette oil paintings, texture acrylic paintings, oil paintings gallery, canvas wall painting, modern abstract wall art decor, contemporary paintings, canvas artwork home decor wall stretched oil paintings framed ready to hang for home decor bedroom living room bathroom kitchen and office. 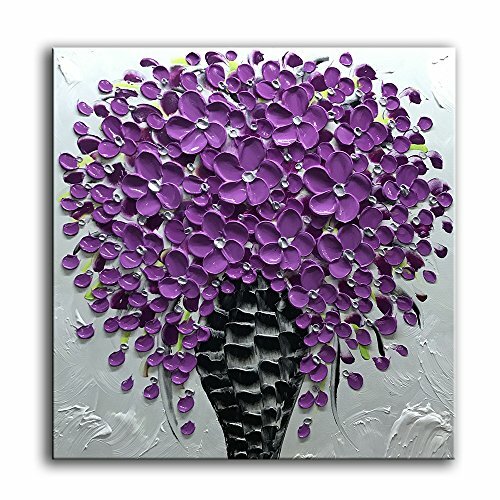 The paintings using palette knife with thick and bold strokes will give you a unique 3D feeling and variety of efforts . It takes a talented artist to use palette knife to create the textural possibility with refined details. Its unique heavy texture and layering strokes make it highly gallery value and hard to repeat. Meet our artist who always inspired by the amazing sceneries and beauties in our lives, and put them in visual perspectives though knives. If you have any questions about this product by baccow, contact us by completing and submitting the form below. If you are looking for a specif part number, please include it with your message.